It was one of those cases where the first child takes something less than nine months to produce and all subsequent children take a full nine months. The marriage was on the 16th of October 1902. The birth of the first child — a son — was on the 13th of May 1903. And therein lies the tale — and it opened a can of worms that, it appears, will lead to the first use of DNA to upset a hereditary title in Great Britain. Because the man who holds that honorary title at the moment isn’t the man whose DNA says he should hold it. And answering that question means asking all kinds of other questions… like how long ago is too long ago to ask questions about paternity anyway. In this case, it was the Baronetcy of Stichill, and it was given to Robert Pringle of Stichill “ac heredibus masculis de suo corpore” (“and the male heirs of his body”). And the question comes down to this: who is the male heir to Robert Pringle who’s entitled to be the baronet today? It came up in a case decided just this week in the Judicial Committee of the Privy Council (“the final court of appeal for a number of Commonwealth countries, the crown dependencies and United Kingdom overseas territories”2). Two rival claimants both claiming descent from the eighth baronet, Sir Norman Robert Pringle. One — Simon Robert Pringle (“Simon”) — descended from that son born in 1903. The other — Norman Murray Archibald MacGregor Pringle (“Murray”) — from a second son, born in 1905. The Privy Council went with the DNA. We’ll have to see whether the political forces step in to answer these sorts of questions. Raised now, for the first time, using DNA evidence. Note: Thanks to Paul Milner for sending along a copy of the decision. I found the decision a well balanced and clear. Whilst I also feel sympathy for the losing side, I do not think anything is needed to change. The Board noted that the heritage rules do not change, I.e. the presumption of legitimacy will stay. As for the titles, it might get interesting. Even some royal families probably have NPEs. Yes, the presumption stays but can be overcome with evidence. There must be a joke in here about potato chips. I’ve been trying to think of one. So what happens to QEII? The DNA for Richard III showed a false paternity event (I love that phrase) in her line to the crown. Is it possible someone could come up with a better DNA claim to the thrown and kick Beth out of the castle? 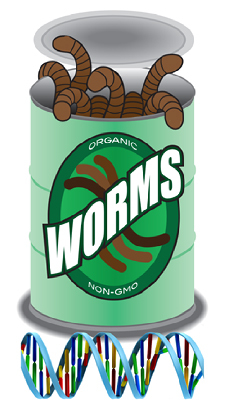 Now that would be a can of worms……. Because Florence Madge Vaughan LAYS with someone else he isn’t a PRINGLE. From my reading of history I believe that from the 1701 Act of Settlement onward British law determined who had the right to the throne, even if another claimant might have a better genetic inheritance. I agree: in essence, that statute had the effect of electing a royal family. Thank you, Michael, for raising a fallacy or two often heard from the western side of the Atlantic. 1) Failure to recognise royalty claims settled by combat. There were a few since Richard III, as well as of course, the incident that ended his life. However shaky you may think the Tudors’ right to reign by inheritance, they won it fair and square on the battlefield. 2) Inheritance of baronetcies is not necessarily the same as inheritance of royalty or other nobility. And why bother worrying about it? You are just about to celebrate getting away from all that! The loss to family historians will be that clan chiefs will be even more reluctant than some are now to participate in DNA studies.